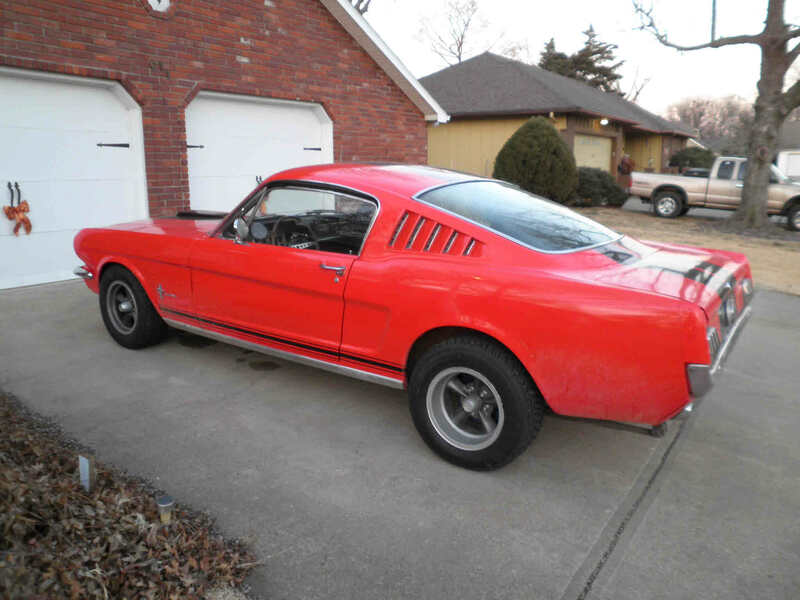 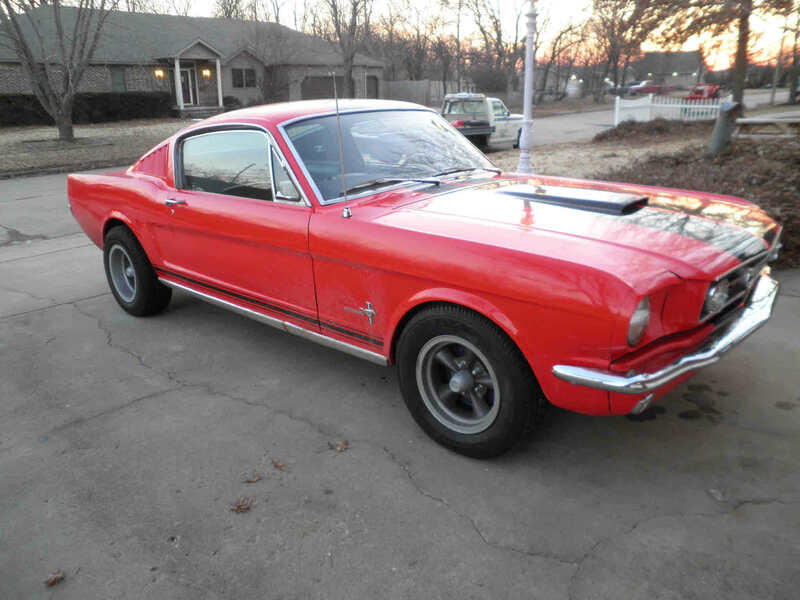 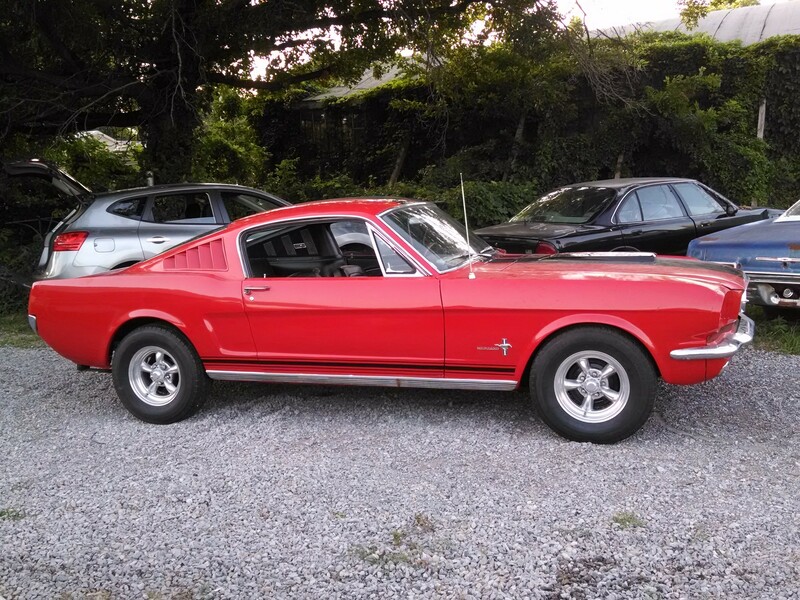 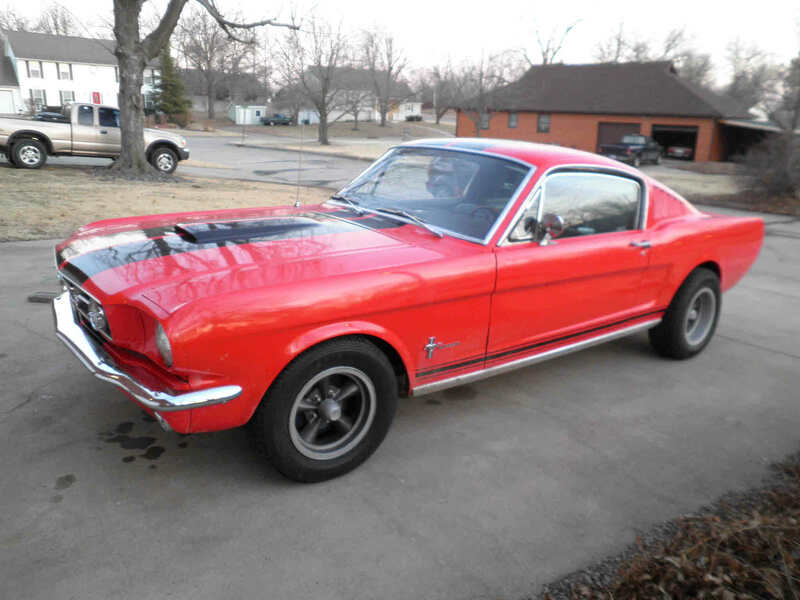 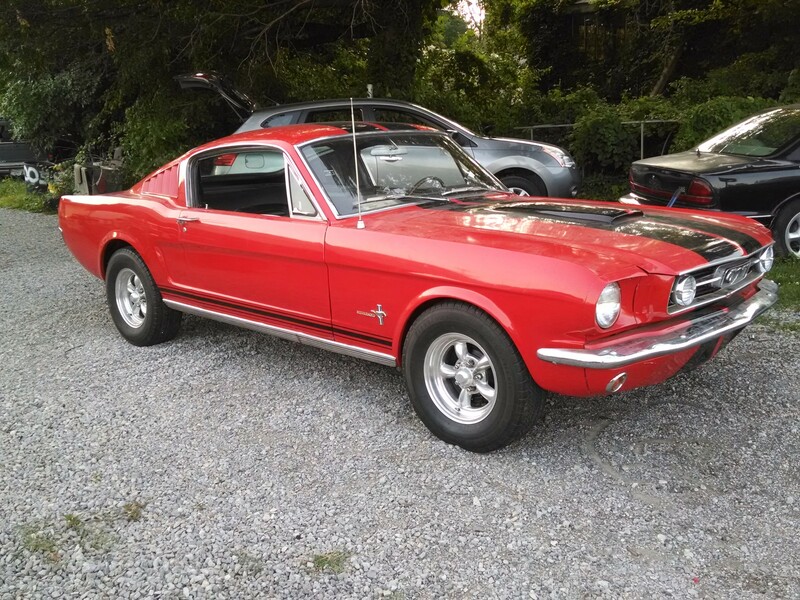 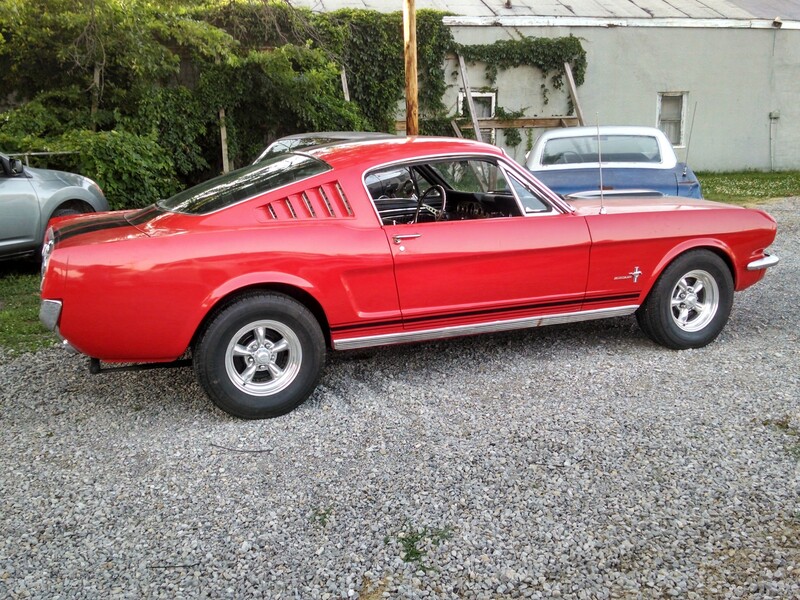 I DROVE THIS FASTBACK IN FROM 120 MILES AWAY W/O ANY TROUBLES----THE ONLY TROUBLE WAS GETTING AWAY FROM THE GAS & FOOD STOPS QUICKLY---EVERY STOP BROUGHT OUT THE CLASSIC CAR/MUSTANG FASTBACK ADMIRERS!! 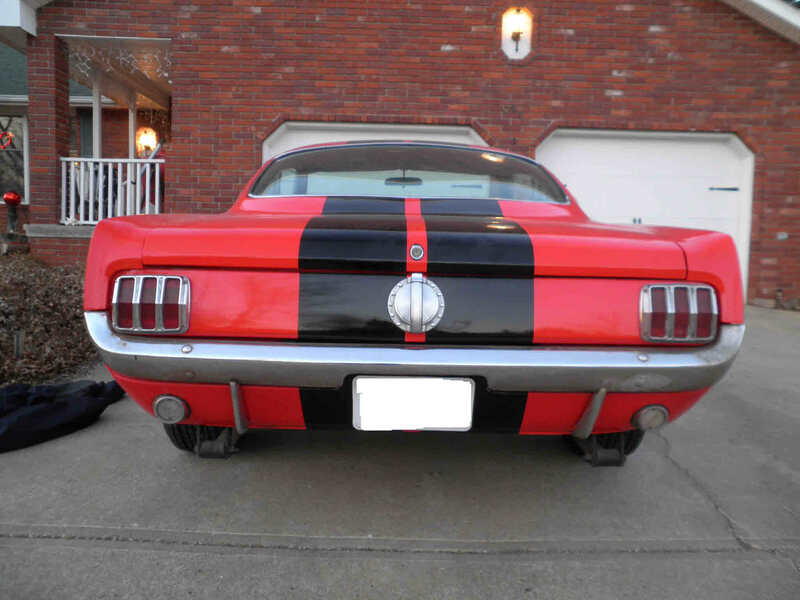 I CONSIDER THE PAINT A 7 or 8 OR BETTER (RATING IT W/10 BEING SHOW QUALITY). 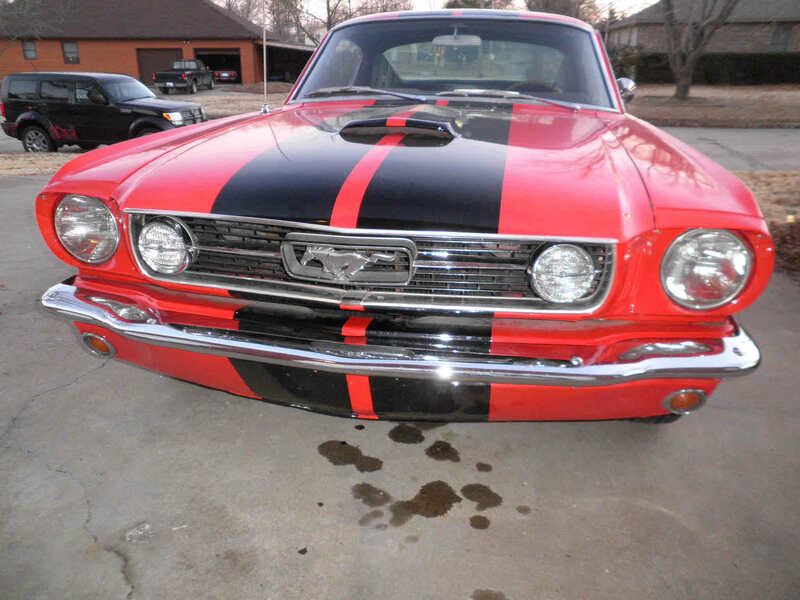 THE GRILLE SPORTS THE GT STYLE LIGHT BAR ASSEMBLY AND IT IS IN LIKE NEW CONDITION. 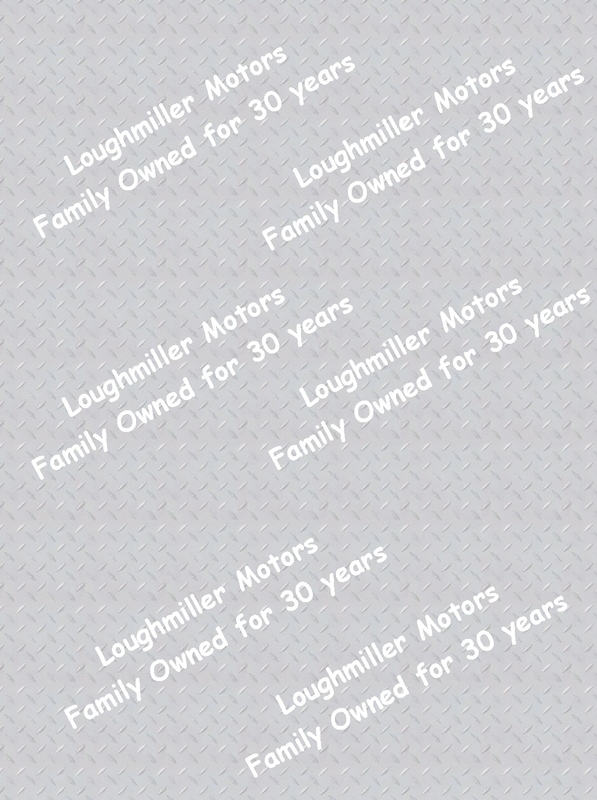 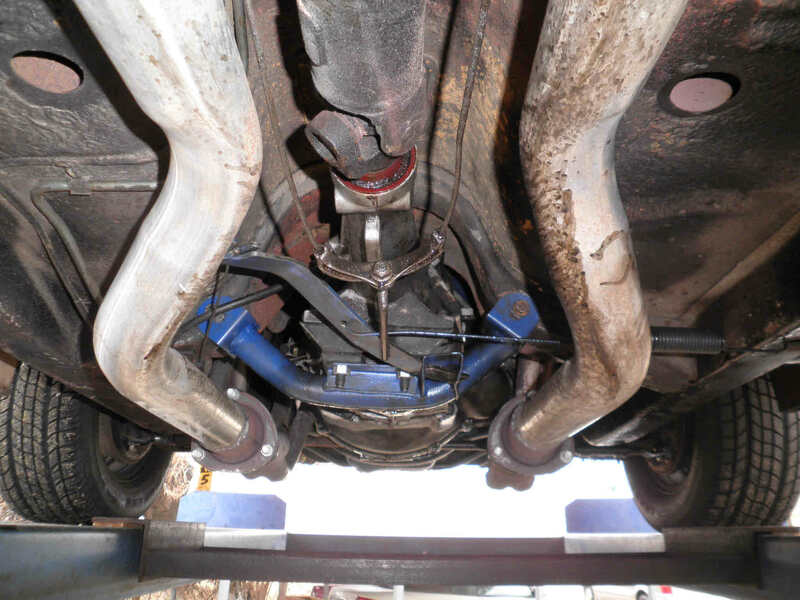 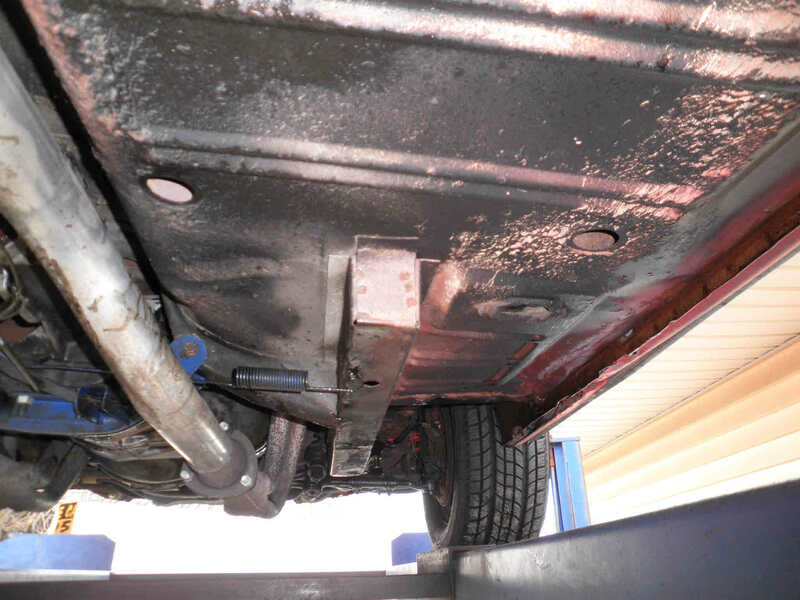 THE DRIVETRAIN CONSISTS OF A LATER MODEL 302 V-8 COUPLED TO A 5-SPD. 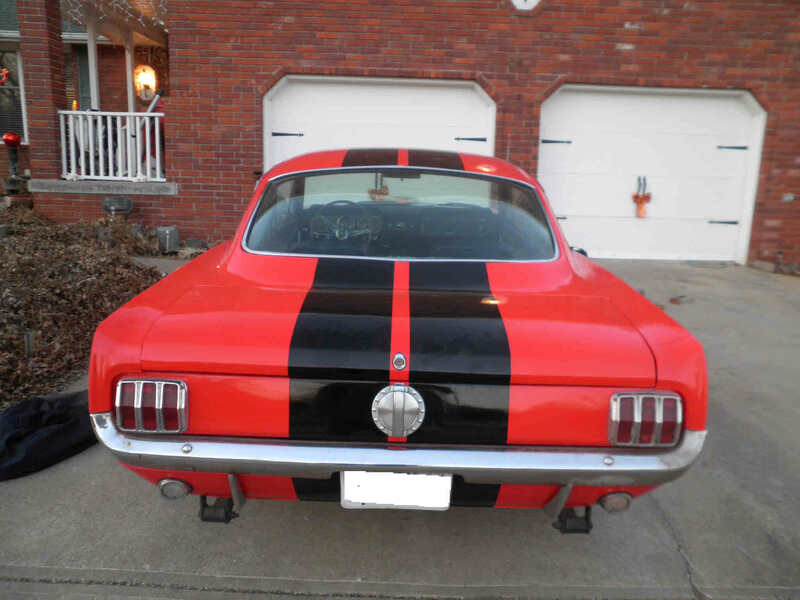 ---DRIVES GREAT & SOUNDS GREAT!! 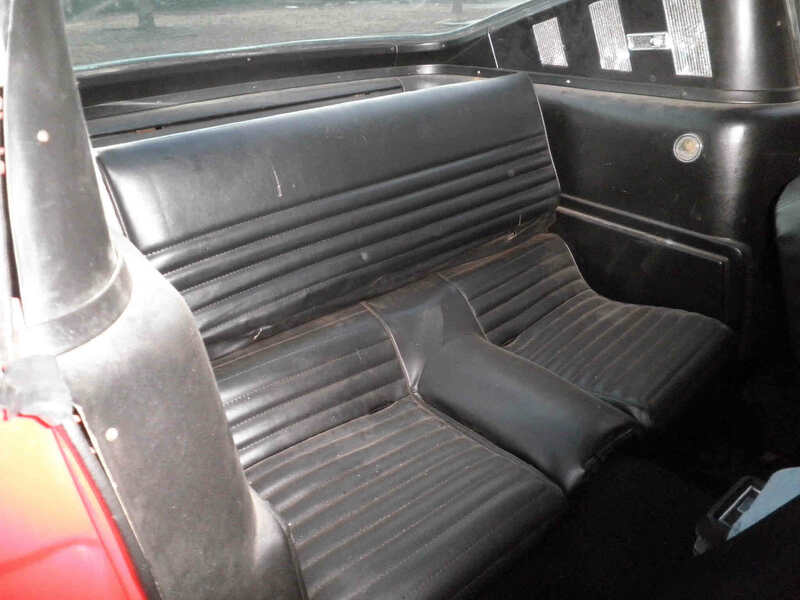 THE ORIGINAL LOOKING INTERIOR IS NICELY REDONE IN BLACK VINYL W/THE FOLD-DOWN BACK SEAT AND NEWER BLACK CARPET. 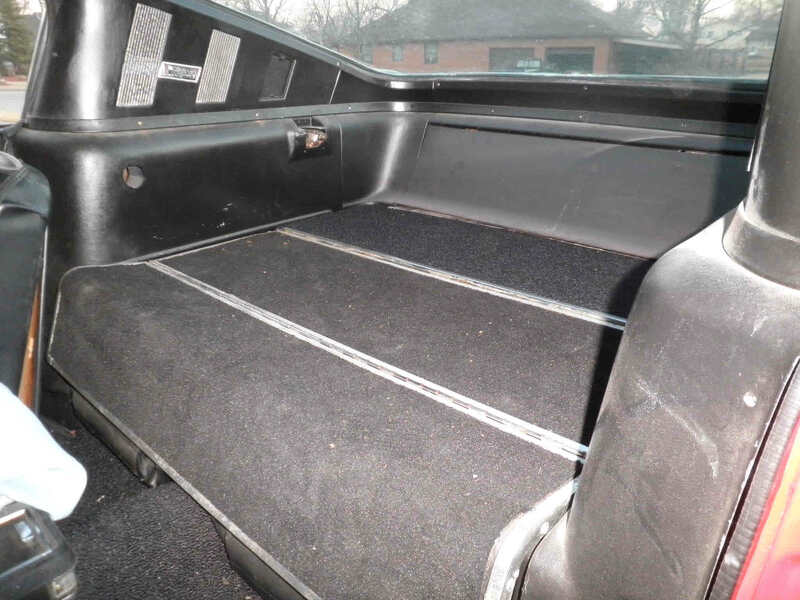 IT HAS NICE DOOR PANELS, HEADLINER, CONSOLE AND DASH. 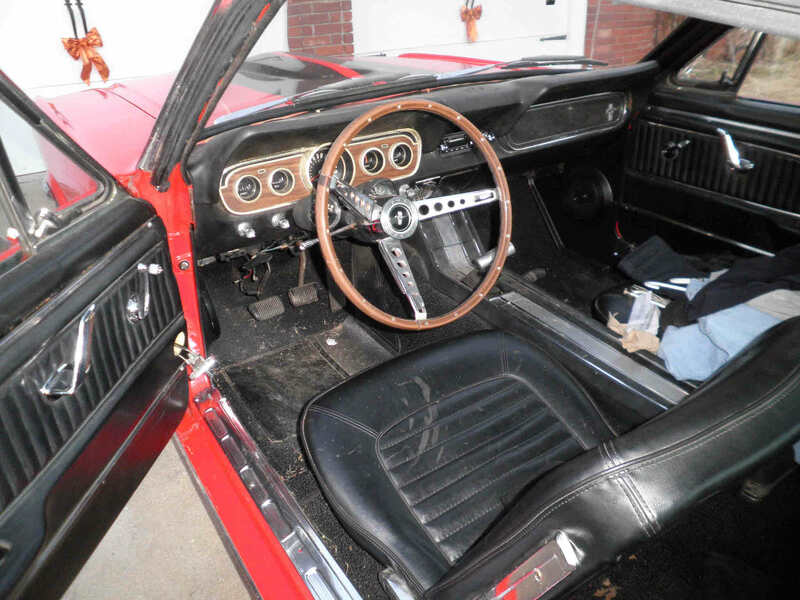 THE MUCH DESIRED MUSTANG OPTION THE "RALLEY-PAK GAUGES" ARE MOUNTED ON THE STEERING COLUMN---THE SIDE BY SIDE RALLEY-PAK GAUGE DUO CONSISTS OF A TACH AND A CLOCK. 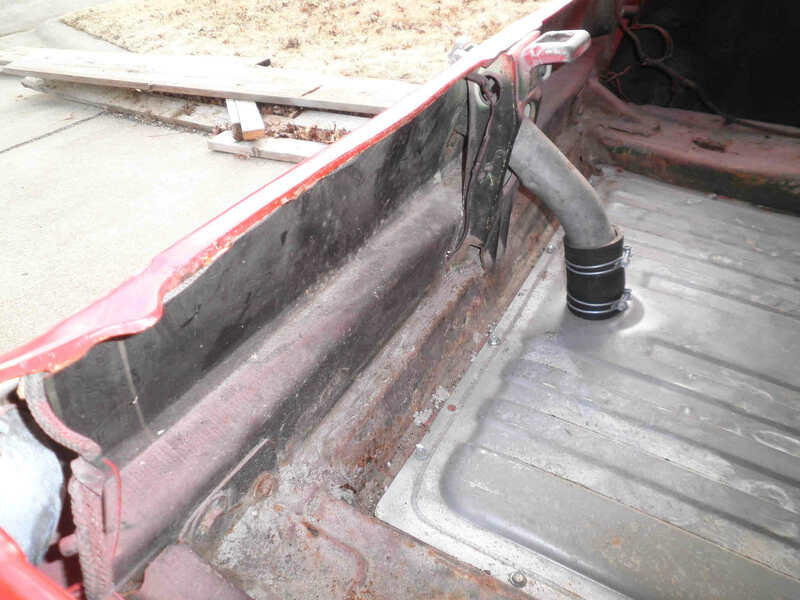 THE RADIO IS A REPRODUCTION FACTORY LOOK-ALIKE THAT IS ELECTRONIC AND WORKS GREAT. 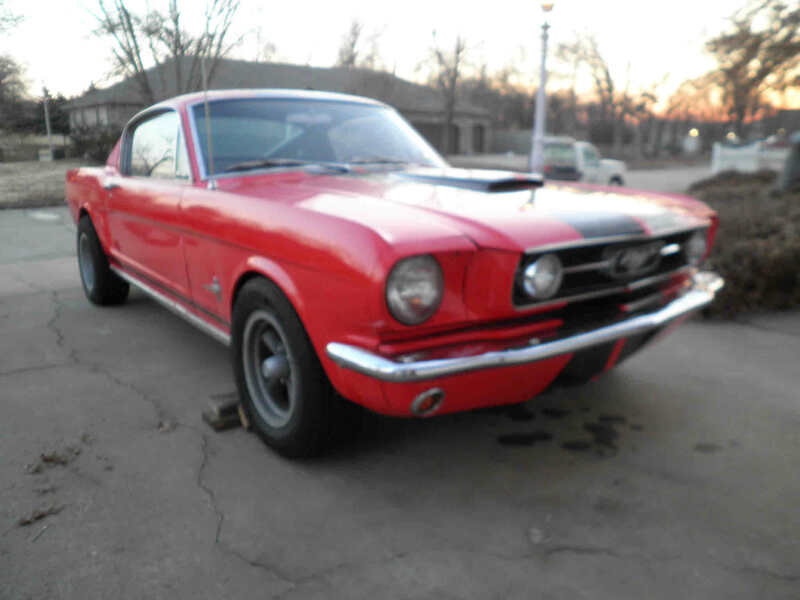 ***IT WILL COME W/THE OLD STYLE 14" TORQUE-THRUST DARK CENTER ALLOY MAG WHEELS W/8s ON THE BACK & 6" OR 7s ON THE FRONT W/ALMOST NEW 225/60s ALL THE WAY AROUND *** (I DID FOR STAGING PURPOSES PUT BOTH OF THE FRONT WHEEL-TIRE COMBOS ON THE PASSENGER SIDE AS I DID NOT CARE FOR THE WIDER WHEEL LOOK ON THE BACK)...***PLEASE NOTE---I HAVE ALSO STAGED THE CAR W/SOME 15X7 INCH POLISHED ALUMINUM ALLOY TORQUE THRUST IIs ON THE PASSENGER SIDE AND THEY ARE JUST FOR STAGING AND ARE NOT FOR SALE W/THE CAR.***. 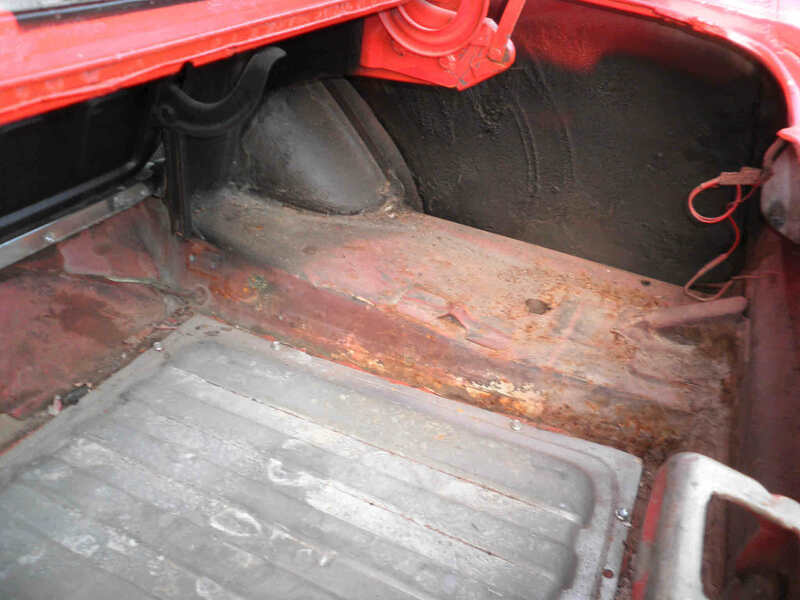 THE FLOOR PANS ARE NOW IN GREAT SHAPE THANKS TO WHAT LOOKS TO BE MUSTANG REPLACEMENT PANELS IN (3) OF THE FOOTWELL (TUB) POSITIONS. 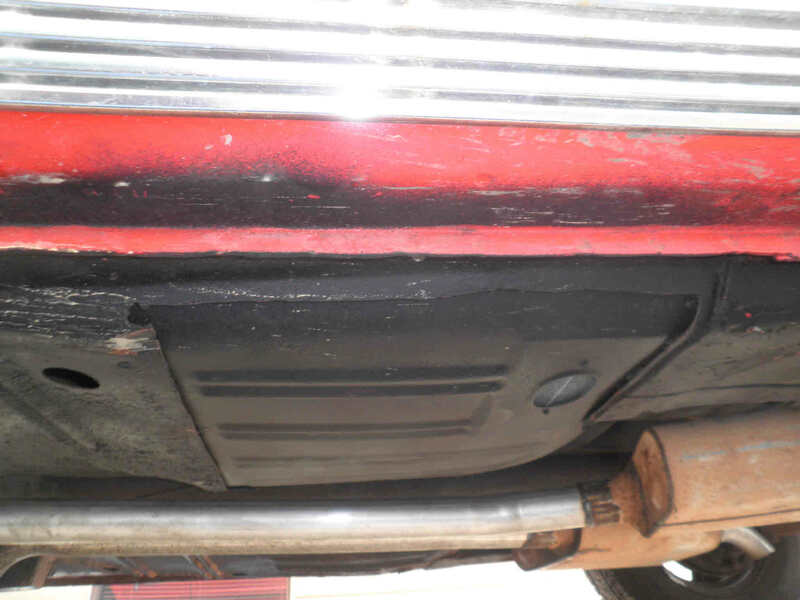 THE TRUNK PAN IS GREAT SHAPE W/ONLY (2) QUARTER SIZED HOLES ON THE OUTER PANELS ON EACH SIDE OF THE GAS TANK. 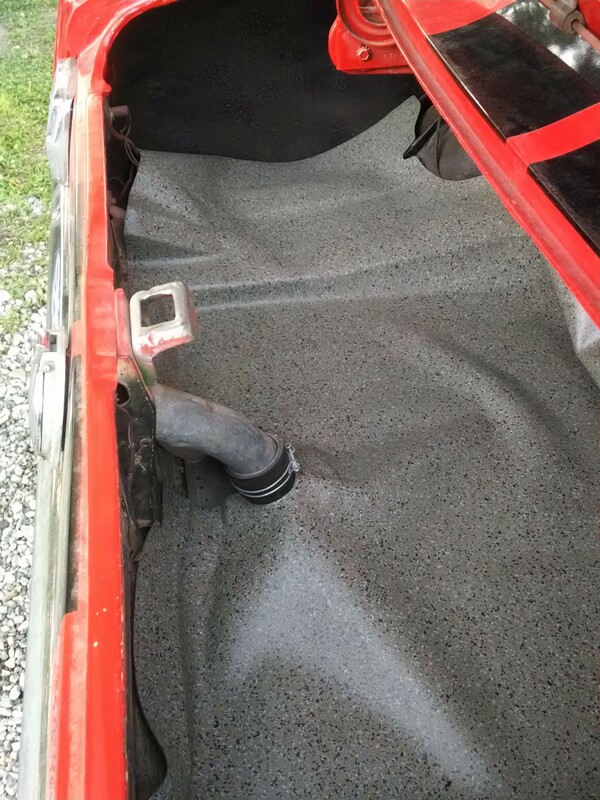 THE TRUNK NOW HAS THE FACTORY CORRECT MOLDED STYLE RUBBER TRUNK MAT. 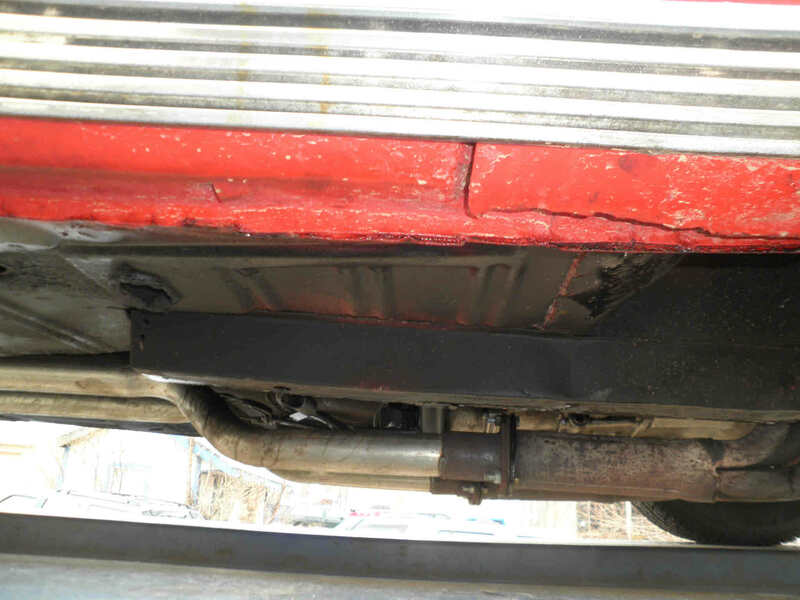 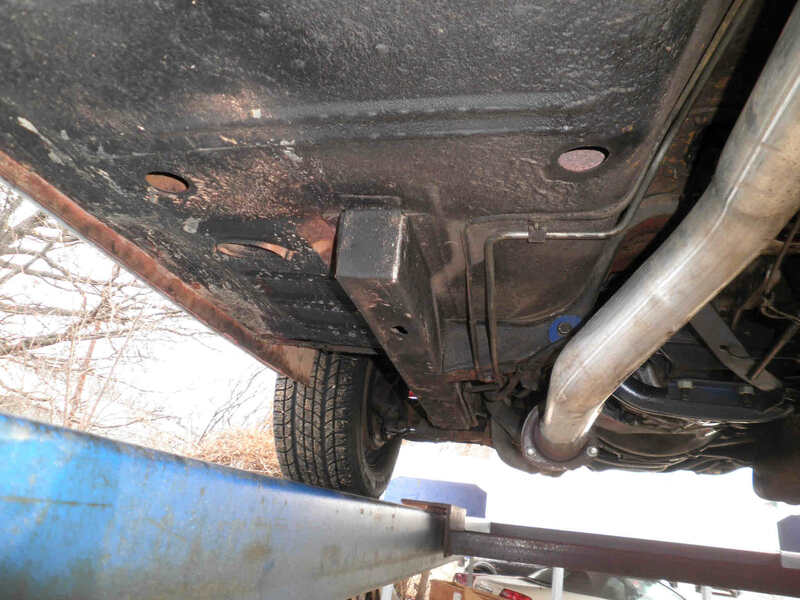 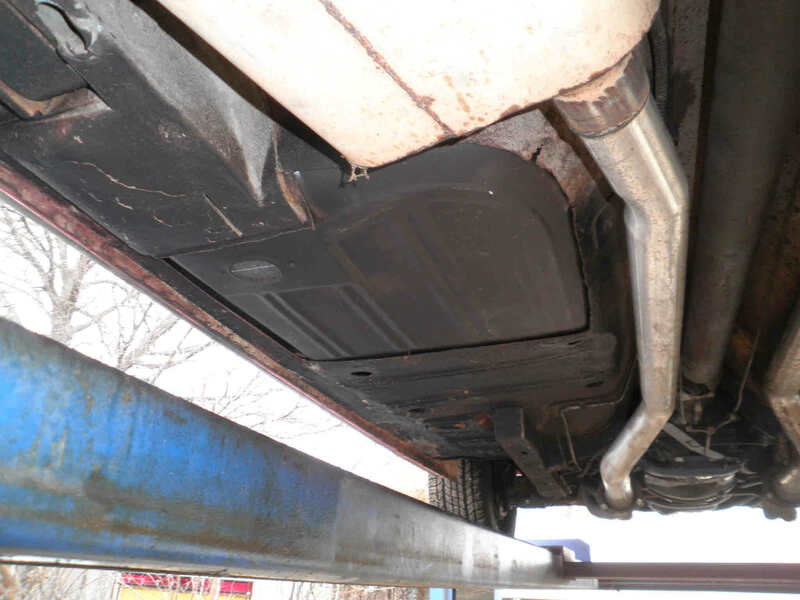 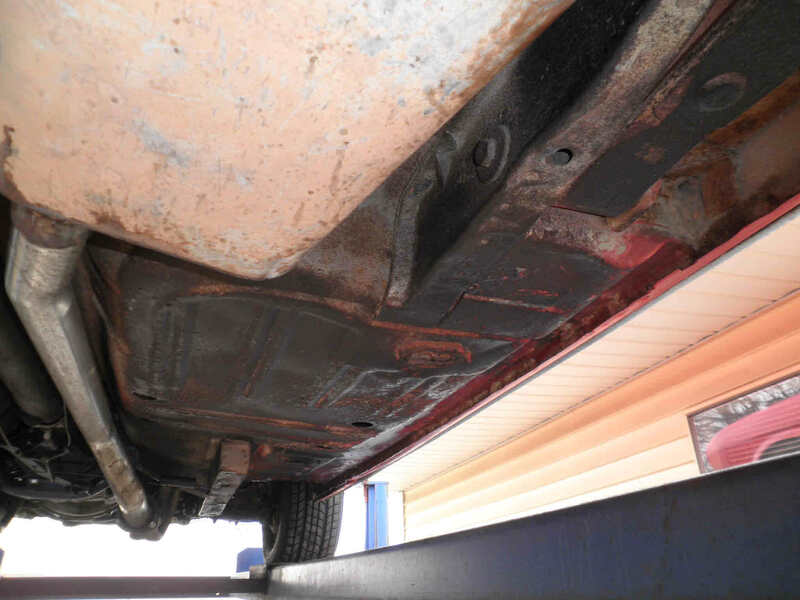 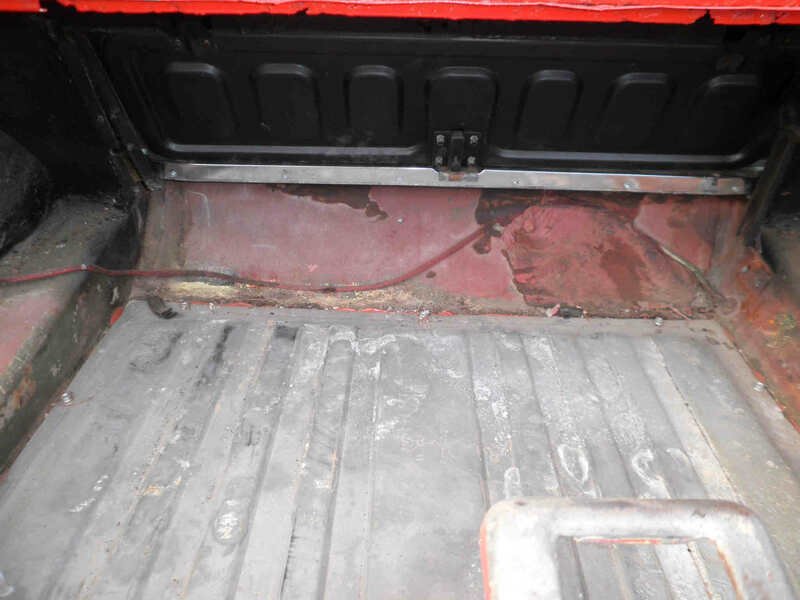 THE SOLID ROCKER PANELS ARE ORIGINAL AND IN GREAT CONDITION W/NO RUST----EVEN THE FACTORY DRAIN OUTLETS IN THE ROCKERS ARE PRESENT AND RUSTFREE. 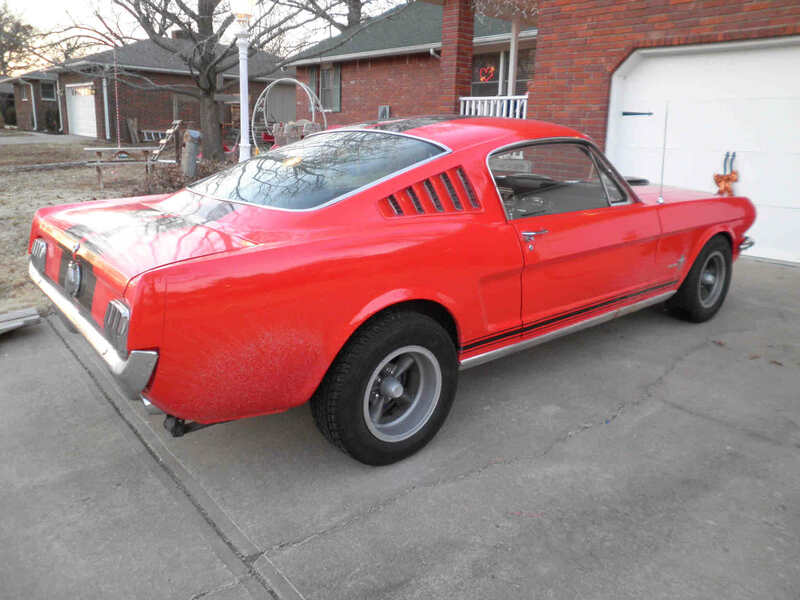 ALL GLASS IS GOOD AND THE FRONT BUMPER IS EXCELLENT AND THE REAR BUMPER IS A NEW CHROME ONE--- THIS IS A CAR THAT YOU CAN JUMP INTO NOW AND PROUDLY CRUISE AMERICAS HIGHWAYS !!! 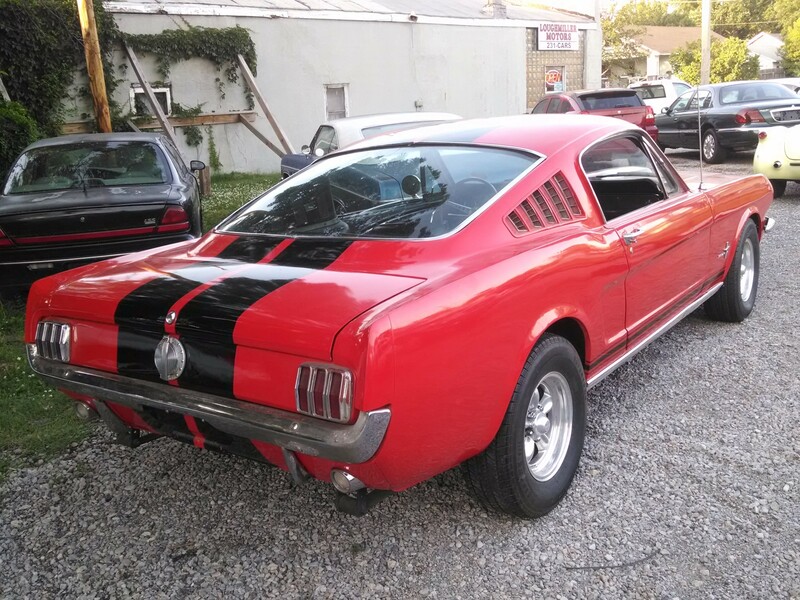 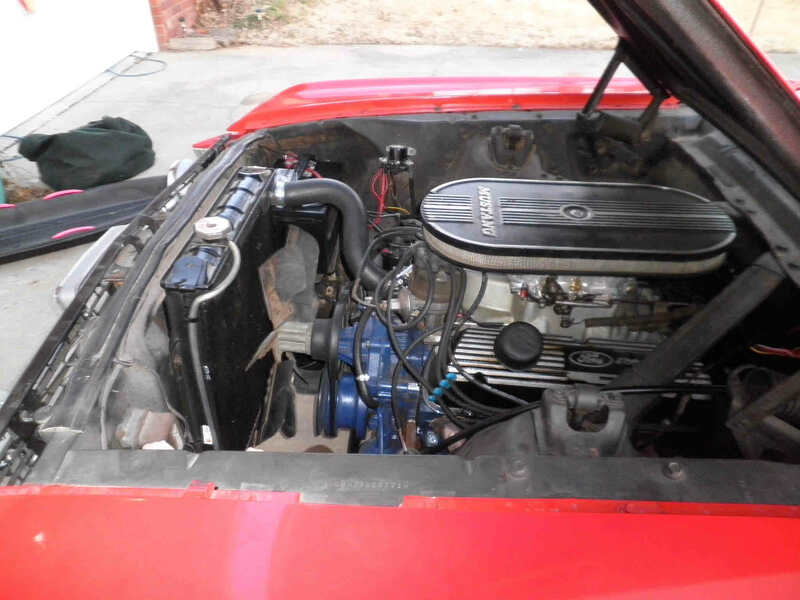 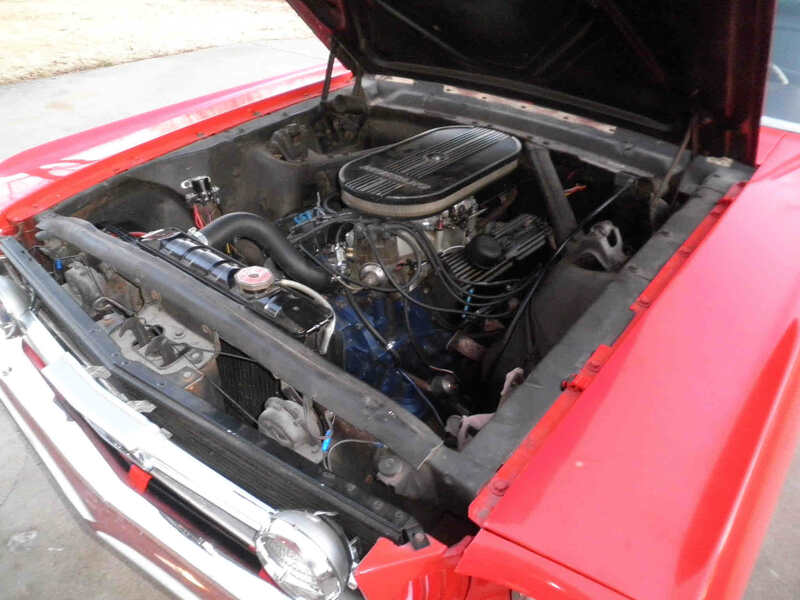 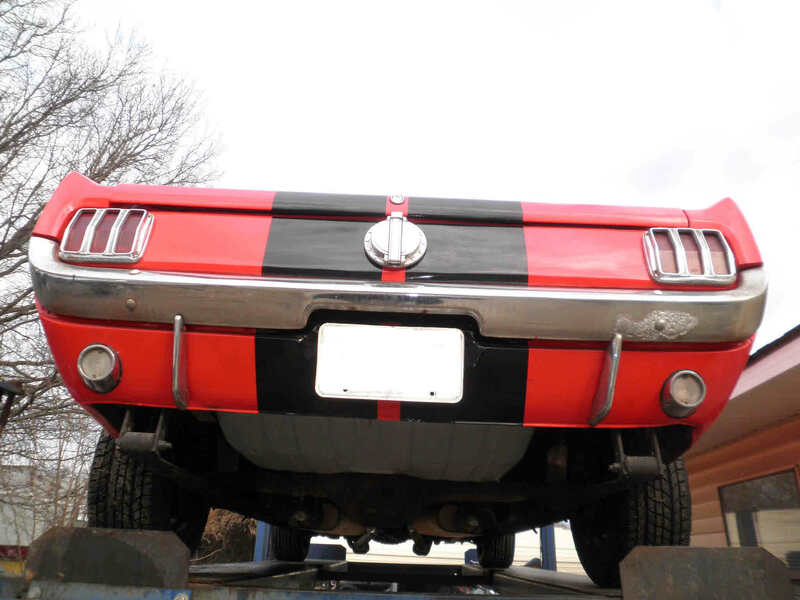 THE VIN ON THIS 66 FASTBACK IS--6R07T12****--- WHICH CODES OUT TO A 66 COUPE ----THIS CAR WAS REAR CLIPPED W/A 66 FASTBACK (IT WAS CUT THRU THE WINDSHIELD PILLAR POST AND THE ROCKER PANEL----NEAR THE FACTORY ORIGINAL SEAMS & ACROSS THE FLOORPAN FROM SIDE TO SIDE). 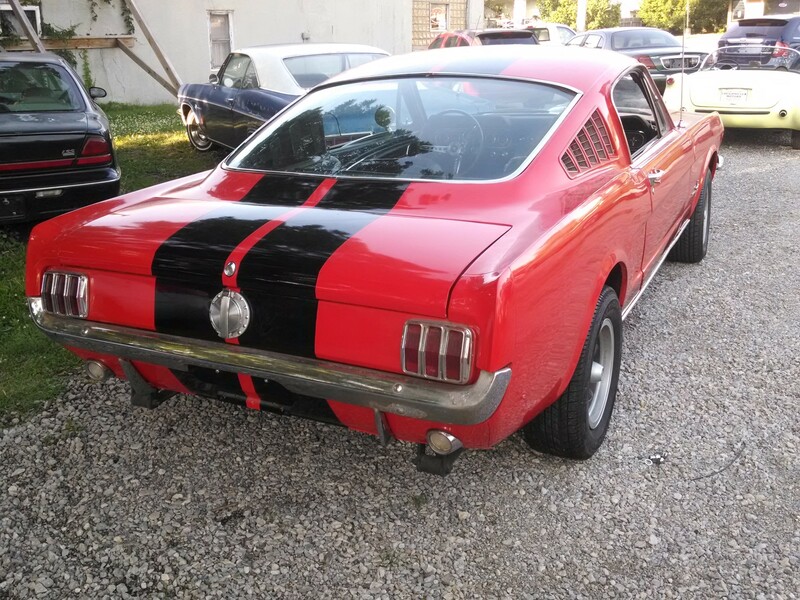 AFTER GOOGLING FASTBACK MUSTANG CONVERSION I FOUND OUT THAT THIS IS A VERY COMMON WAY TO TURN YOUR COUPE INTO A FASTBACK. 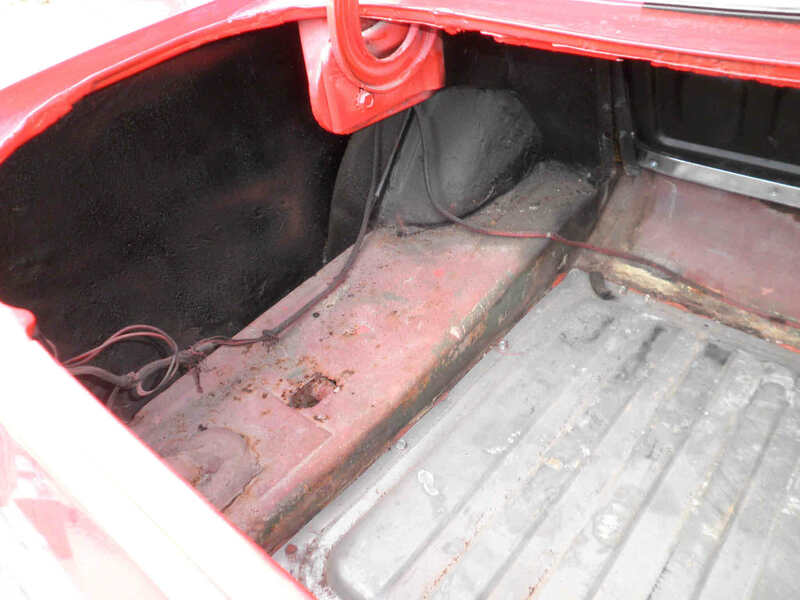 THE INTEGRITY OF THE ORIGINAL FASTBACK INTERIOR/EXTERIOR COMPONENTS WERE NOT ALTERED. 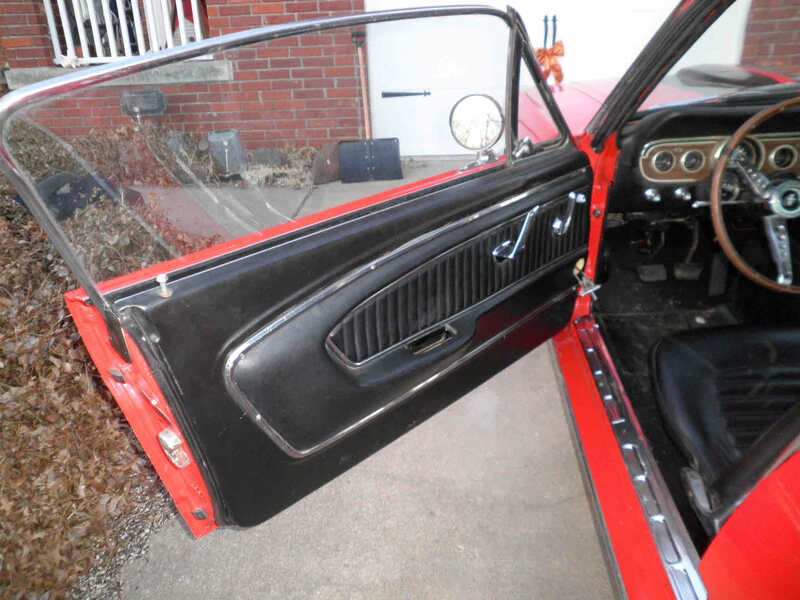 ALSO THE DOORS FROM THE COUPE WERE USED (CHANGING ONLY THE DOOR GLASS). 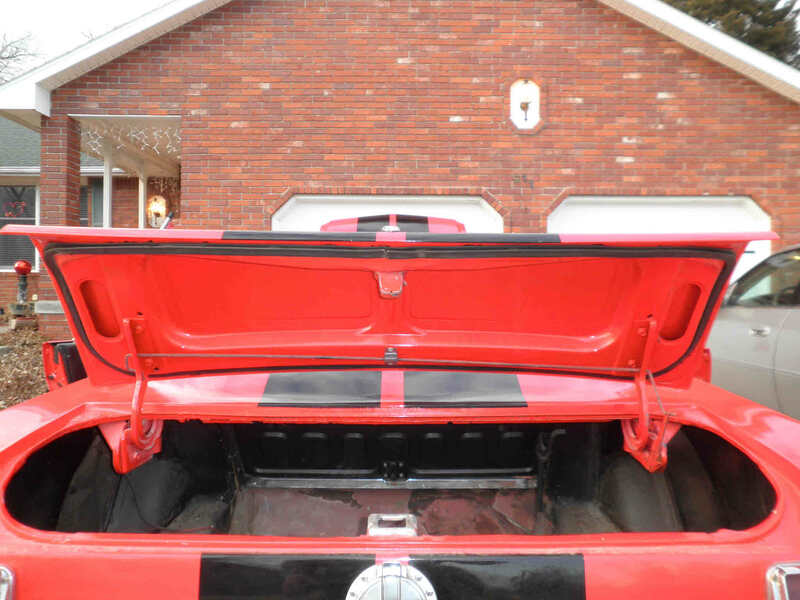 THE COUPE VIN PLATE ON THE DRIVERS DOOR WAS LEFT UNALTERED/NOT REMOVED---THUS THE COUPE VIN ON THE DOOR AND THE VIN(s) ON THE UPPER FRAME RAILS--HIDDEN AND VISIBLE "ALL MATCH" AND THEY MATCH THE GOOD KANSAS TITLE.